In the United States, most businesses are not C corporations. 95 percent of businesses are what are called pass-through businesses. These businesses are called pass-throughs because their income is passed directly to their owners, who then need to pay individual income taxes on it. Contrast this with C corporations that need to pay the corporate income tax on its income before it passes its earnings to its owners. Combined, pass-through businesses employ 55 percent of all private-sector workers and pay nearly 40 percent of all private-sector payroll. 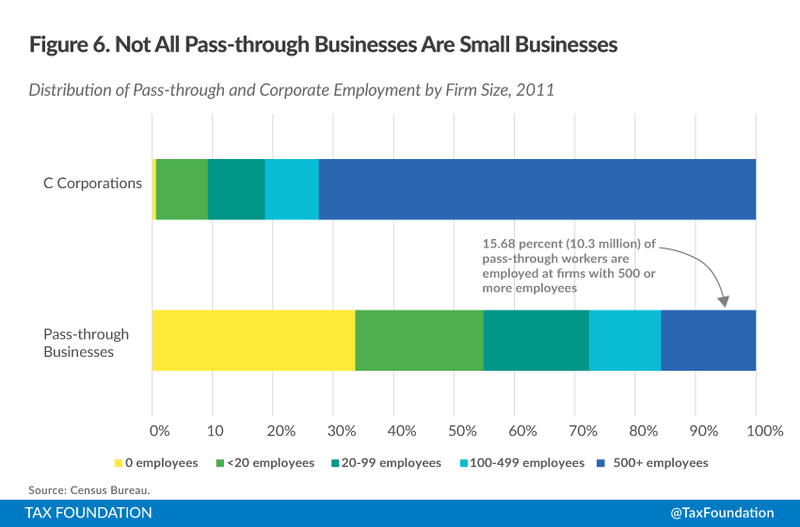 When talking about pass-through businesses it is tempting to equate them to small businesses. In a way, the characterization isn’t totally wrong. C corporations are much larger than pass-through businesses. However, one must be careful when describing pass-through businesses as small: not all of them fit that description. In fact, many pass-through business firms employ thousands of workers each. Most pass-through employment is either self-employment (33.6 percent) or at small firms with between 1 and 100 employees (38.7 percent). However, a significant number of employees work at large pass-through businesses. According to 2011 Census data, a combined 27.5 percent (18.1 million) of pass-through employment was at firms with more than 100 employees, and 15.9 percent (10.3 million) of pass-through employees work at large firms with 500 or more employees. In contrast, employment at C corporations is heavily concentrated in large firms. In 2011, 72.3 percent (38 million) of C corporate workers were employed at large firms with 500 or more employees with an additional 8.9 percent (4.7 million) working at firms with between 100 and 500 employees. The remaining 18.7 percent (9.9 million) of corporate employment was at firms with fewer than 100 employees. Not recognizing the fact that pass-through businesses can be large employers can bring about poor policy choices. 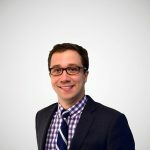 For example, increases in the top marginal individual income tax rate will not only hit individuals with high wage income or business income, it may hit a significant number of large employers who are organized as pass-through businesses. Conversely, some policies that are aimed at helping small businesses, such as state-level pass-through business income tax exemptions, could incidentally benefit large established businesses. For more on pass-through businesses see here.